Frontier Touring is thrilled to announce Grammy award-nominated, pop and R&B superstar Jessie J will return to Australia in March 2015 for a series of headline shows. With swag loads of songs spanning multiple genres, Jessie J’s musical styling has redefined pop music for a generation. Blending vintage and modern music, Jessie J has been making waves since the release of full-length debut album Who You Are. The general rule is that you can recycle a trend around about every thirty years. The late ‘90s saw the return of super flared jeans and platform shoes adapted from their 1970’s incarnations, and the final years of the 2000-2010’s saw 1980’s revivals turning everything fluro again, including ruched skirts and the accessories holding big hair in check. As the wardrobes of many of the theatregoers tonight attested, the 80’s success Fame: The Musical is ripe for a comeback. 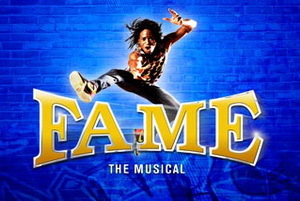 Bucking usual trends, Fame (the movie) actually came out first, then a TV series, and then the musical, and it’s worth noting that the story is not the same as the movie.